Traditional breakfast and lunch included every day. Support from teams in the United States, Europe and Mexico – we never just drop you in a country, we offer you support every step of the way. Merida’s strong recent growth mirrors that of the rest of the country, and it has brought improvements in areas like education and health. However, Merida reflects Mexico’s significant gap between rich and poor. Serious poverty exists, and chances to advance are limited for young people from disadvantaged backgrounds. When you volunteer in Mexico with UBELONG you have many opportunities, including teaching, caring for children and working in conservation. Click on the tabs above to learn more. “The UBELONG Team and other volunteers inspired me with their commitment to try new things, help each other out, and make a difference in the world.” Lijia Wang, UBELONG Mexico Volunteer from the United States – read her interview here. For Mexico’s most vulnerable, especially children with disabilities and from disadvantaged backgrounds, life remains a challenge. A lack of oversight and funding means many poor children and people with disabilities do not receive adequate care. Abuse and neglect are all too common in public centers, and while private institutions like religious organizations and NGOs help fill the need gap, they need more support. Volunteers bring energy, love and manpower to help local staff. They also bring new ideas that help shape how Merida’s children are viewed and treated. Volunteers live in Merida and work in centers throughout the city and surrounding areas. Volunteers work four to six hours a day in a center for people with disabilities. Most are teenagers and adults, but there are children as well. They mostly come from poor backgrounds and some do not have a family. They depend on the center for therapy and stimulation, as well as for leading lives that are as normal as possible. Volunteers do different activities, including handicrafts, reading and sports. They may also have the opportunity to lead fun and educational workshops, for example about culture, history or theater. Finally, as needed by the local staff, volunteers help on activities like feeding, cleaning up and fundraising for the center. -Spanish is not required, although at least a basic level is helpful. The project starts every Monday and runs year-round, except during the first week of January (for groups of four or more, we may make an exception and allow an alternative start date – contact us to request an exception). Hina (left), from California, and Colleen, from New York, in action! Volunteers work four to six hours a day in either an orphanage or daycare for disadvantaged children. Some children have been emotionally, physically and/or sexually abused, while others are children of working mothers who cannot afford normal daycare. Most of the children do not have physical ailments, although a few have disabilities. 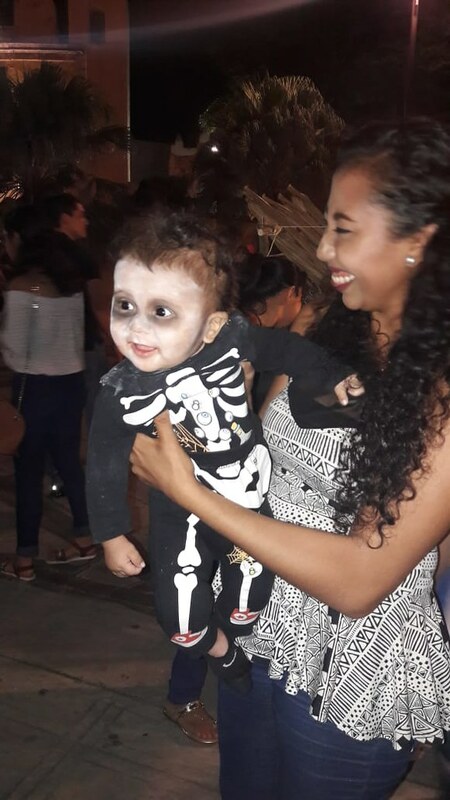 They range from infants to toddlers. Volunteers partake in a range of daily activities, which may include homework help, playing sports and making art. As needed, volunteers also help the local staff with household chores like cleaning up, preparing meals and planning activities. Here is Alison, from Ohio, playing with her new friend at the project! One of the most severe problems facing Merida’s poorest is shoddy infrastructure. From run-down schools and hospitals to community centers that have not been remodeled in generations, the need for better facilities is significant. 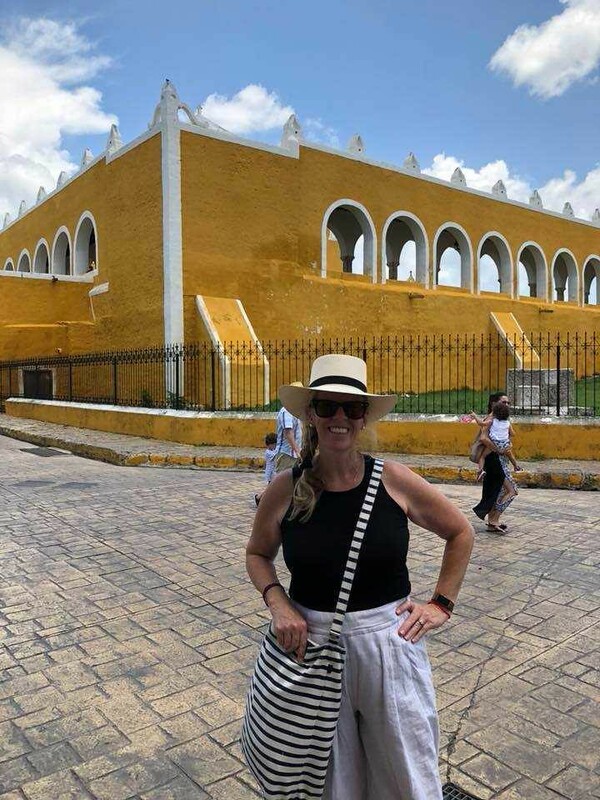 While construction sights can be found throughout the Yucatan, nearly all of them revolve around high-end tourism developments. Volunteers bring energy and manpower to help beautify and restore buildings serving Merida’s poor. They live in Merida and volunteer in the city and surrounding areas. Volunteers serve four to six hours a day doing light construction work in a local hospital, school or social organization. Their tasks depend on local need, as well as the skills of volunteers. Tasks range widely and examples include drawing and painting murals in a children’s hospital; cleaning up a playground and fixing and/or painting the play-sets; doing light construction work in a classroom, which may include fixing the desks and repairing damaged walls; and beautifying a meeting room in a community center by cleaning it up, painting and/or performing light handy work. 3. Each volunteer must bring to Merida US$15 in cash for every week of their placement. The money will go towards purchasing materials, for example brooms, paints and paint brushes. 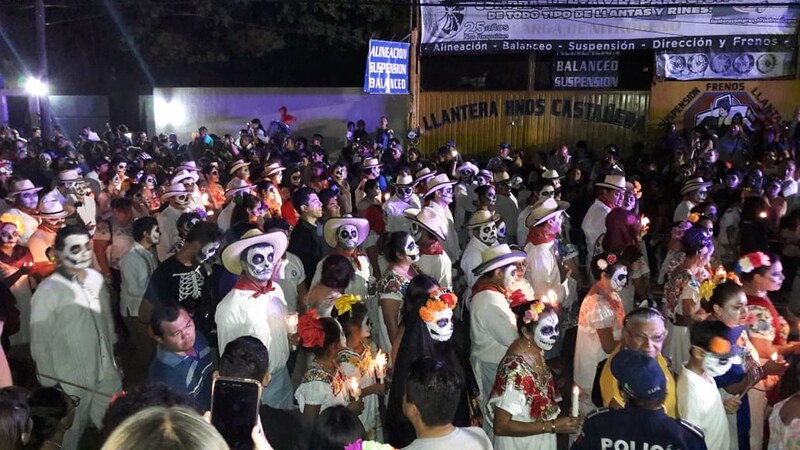 While Mexico spends a larger part of its budget on education than other Latin American countries, student performance in places like Merida lags and does not reflect the investment. Particularly in schools in poor neighborhoods, overcrowding and poor teacher training remain significant hurdles. The Mexican system’s focus on rote learning instead of engagement also keeps many students from having the critical thinking and team skills necessary in today’s world. Volunteers bring energy and new perspectives. They allow for more individualized student attention, and help students who are falling behind keep up. Volunteers work four to six hours a day in a local school or a community center serving children from disadvantaged backgrounds. The children range from 6 to18 years old. In the school, volunteers work alongside local teachers to create and deliver English lessons. They may be in front of the class presenting or they may work individually with children who are falling behind. As needed and depending on a volunteer’s Spanish speaking ability, opportunities may come up to help on other subjects, for example history, math and writing. Volunteers in the community center teach alone or with other volunteers, and they help children on reading, writing and listening. Volunteers are encouraged to bring new ideas, including different types of lesson plans and topics for group conversations. -At least an intermediate level of Spanish. The project starts every Monday and runs year-round, except between Christmas and New Years, and July and August (for groups of four or more, we may make an exception and allow an alternative start date – contact us to request an exception). Tai, from Washington State, with his English class. He is receiving a certificate for his excellent work. Thank you! 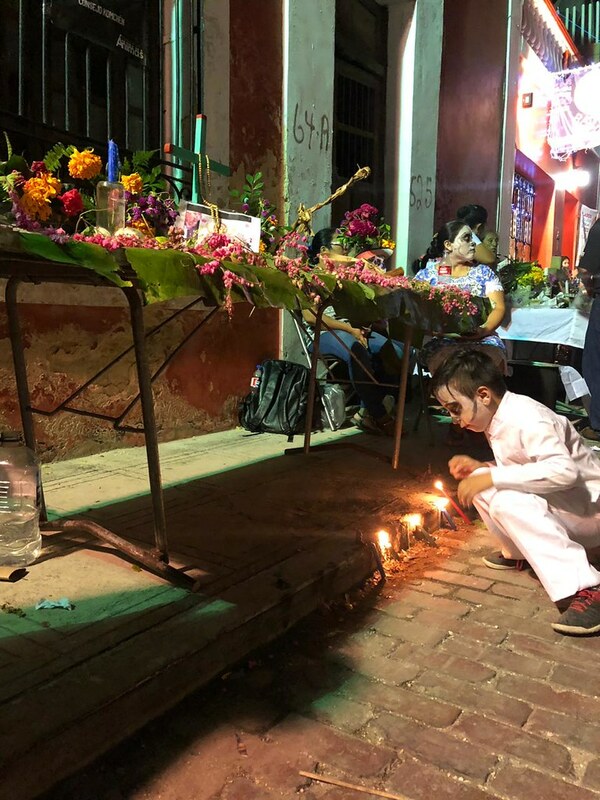 As Merida’s population has grown alongside its booming tourism sector, the environment has come under serious pressure. 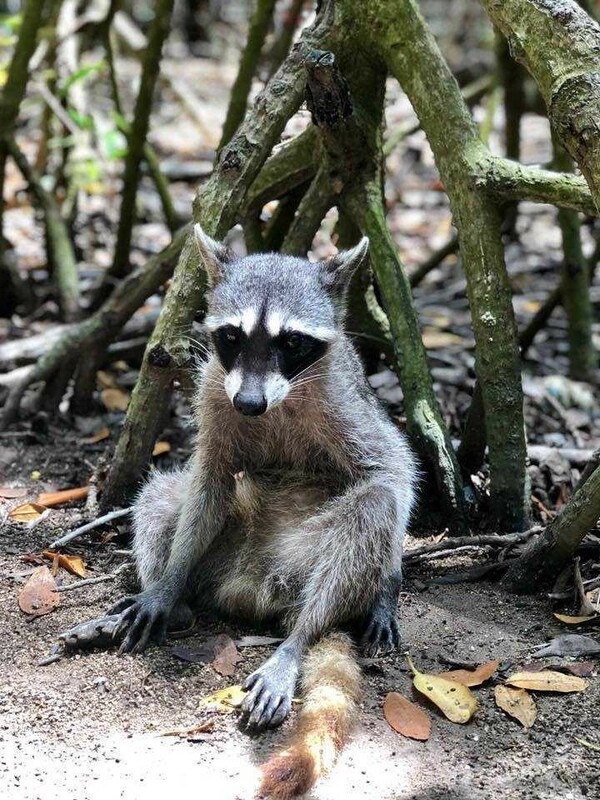 There is widespread deforestation throughout the Yucatan, and poor infrastructure has meant every year tons of commercial and residential waste is never treated or recycled. Pollution has seeped into the soils and ground water, which affects everything from the local wildlife to public health. Volunteers provide labor to sustain local conservation efforts, as well as energy and new perspectives to help educate locals about environmentally sustainable practices. Volunteers live and Merida and work in the surrounding areas. Volunteers work four to six hours a day with a local environmental group dedicated to local reforestation and environmental education. Depending on the planting season, volunteers work across the reforestation process, from helping in the seed bank and nursery to planting trees when the seedlings have sufficiently sprouted. There is physical work, like preparing the land for planting, as well as office work like seed inventory control and recording. Depending on the season and local need, volunteers may also have the opportunity to participate in outreach initiatives with the local community, ecotourism projects and bird monitoring. -The flexibility to participate in many different activities depending on the season and ever-changing needs of the reserve. Volunteers from the University of Kentucky hard at work at the project! In Mexico, as in much of Latin America, the gap between rich and poor is significant. 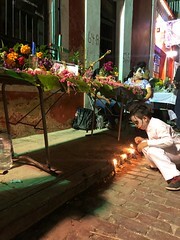 While the country’s economic growth can be seen in Merida’s well-kept downtown, which is very popular with tourists, serious poverty exists. Especially for vulnerable groups like children and the elderly, poverty is common. Community organizations in Merida are vital to supporting those in need. They fill needs where government social support does not reach, and they bring attention to issues that may otherwise be overlooked. Volunteers have the opportunity to work in a food bank that is critical to feeding the needy. They bring energy and skills, as well as new perspectives. 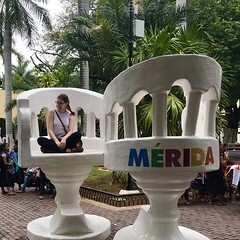 Volunteers live and work in Merida. Volunteers work five to seven hours a day in a local food bank, which receives food donations from throughout the area and then distributes it to partner charities. Volunteer partake in all facets of the organization, including receiving, controlling, organizing and handing out food that comes in. They also help on business related work like public relations, fundraising and internet marketing. 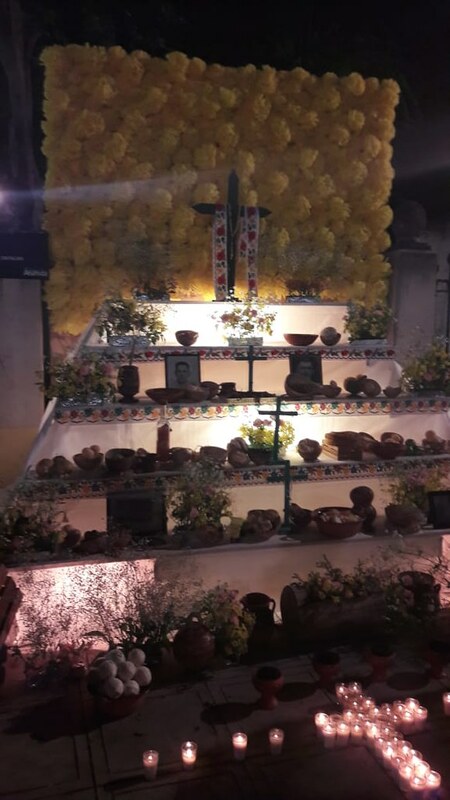 Typical tasks may include translating between Spanish and English; working on the food bank’s social media and email outreach; researching what other food banks in Mexico and beyond are doing; and taking promotional pictures and/or videos. Additionally, depending on local need volunteers occasionally have the opportunity to accompany local staff on visits into the community, as well as to lead educational workshops around stopping hunger and fighting food waste. -The cultural sensitivity to engage visitors and clients in a professional manner. -Education and/or professional experience in a relevant field like business, marketing or public relations. Here’s Noelle (left), a UBELONGer from Geneva, Switzerland, helping to sort and distribute food! Healthcare in Mexico has improved significantly over the last decade. In 2012 the country achieved universal health care, an accomplishment that continues to elude even the United States, its much richer northern neighbor. However, while access to healthcare is now guaranteed, for the poorest there are still significant hurdles to overcome. Access to qualified doctors in public hospitals can be difficult, and it is not uncommon for patients, even those with life-threatening conditions, to have long waiting times before healthcare is provided. Overall, Mexico’s healthcare outcomes lag behind those of other OECD countries. Additionally, public health issues like poor nutrition and deficient sexual education are a growing problem. Volunteers bring valuable experience and skills, as well as outside perspectives to share with the local medical professionals. Volunteers live in Merida and work throughout the city. Volunteers work in a hospital specializing in children and teenagers. There are multiple areas to work in, and volunteers will assist in one or multiple depending on the needs of the local nurses and doctors, as well as each volunteer’s experience and ability. Areas include emergency medicine, external consultation, surgery, psychology, pharmacy and administration. Typical daily activities can include helping in the emergency room, conducting patient exams, helping patients with their rehabilitation and therapy exercises, completing patient paperwork, and suturing wounds. Additionally, volunteers may talk with patients and families about topics like dental care, hygiene, early childhood development and reproductive health. -At least an advanced level of Spanish. 3. Volunteers must bring their own basic medical equipment, including doctor coats, eye protection, stethoscopes and rubber gloves. 4. Medical placements can be very rewarding, but they are also very challenging. Mexican hospitals are very different than Western hospitals – there is a serious lack of resources and manpower. Volunteers accepted into the project must exercise a high level of independence. While the doctors and nurses are glad to provide support to volunteers, the priority of the local professionals is the patients. Volunteers must be proactive in contributing their skills and being ready for a context that can be very chaotic, resource-poor and unstructured compared to their home country. 5. Volunteers must bring to Merida an official transcript from their university showing their coursework and/or a certificate proving they are a medical professional. Here is Julia (first from right), from Switzerland, at the project! Depending on local need, volunteers work in local clinics, centers and schools. They prepare and then deliver public health workshops to the locals, who may include children or adults depending on the context where volunteers are presenting. Areas of focus vary widely so must be tailored to the audience. Important potential areas include environmental education, hygiene, nutrition and sexual education. Volunteers are responsible for creating the content, as well as delivering it in an engaging manner. -At least a pre-med student or undergraduate studying public health. 3. Volunteers must bring and/or create their own presentation materials, for example cardboards, pamphlets and props. 4. 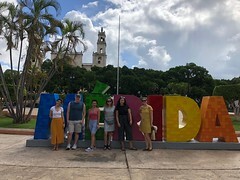 Volunteers must bring to Merida an official transcript from their university showing their coursework and/or a certificate proving they are at least a pre-med student or undergraduate studying public health. Elhadji, from New Jersey, giving a nutrition workshop to local women! 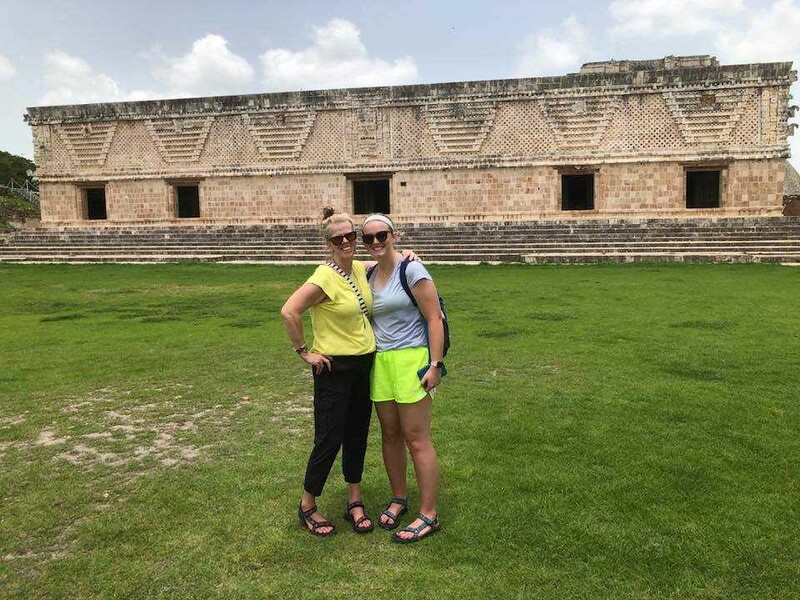 When you volunteer in Mexico with UBELONG, you embark on a life-changing volunteer trip that is all about volunteering, experiencing the local culture and making new friends. Live in a safe, clean and comfortable volunteer house that is perfectly located in downtown Merida. Enjoy excellent food and have an authentic, immersive experience living as part of the local community. Read on to learn more! You live in a comfortable, safe and welcoming hostel, which is centrally located, close to the Plaza Grande, the bustling center of Merida, and Santa Lucía Park as well as Calle 60 where you find many restaurants, shops and museums. There is no better place to be located in the city! You share a room with up to seven other UBELONG Volunteers or with other travelers. Each room has a private bathroom. All rooms and bathrooms are cleaned regularly and you have free wireless internet. The hostel has a big kitchen, cozy common area, two beautiful and huge patios with hammocks as well as a pool to cool down from an exciting day at the project. The surrounding neighborhood has plenty of cafes, grocery shops and other conveniences. A laundry service close to the hostel is available for a small fee. You’re going to love living here! Please note: If you would like a single room or a room just for you and your significant other, we may be able to accommodate you. Let us know in your application what your special housing requirement is and we will get back to you on availability. There is an extra cost for having a single room or one just for you and your significant other. UBELONGers enjoying a sunny and warm afternoon together. Mexico, and the Yucatan in particular, is famous for its diverse and flavorful dishes that bring together Mexican, Mayan, Caribbean, Middle Eastern and European cuisines. Every day, you receive breakfast and lunch. A cook prepares a range of local dishes exclusively for the volunteers. Breakfast: It typically includes coffee, bread, butter, jam, honey, fruits of the season, milk and cereals. Depending on your work schedule, you eat breakfast alone or with other volunteers. Lunch: As is the tradition in Mexico, lunch is the most important meal and typically includes chicken, beef, pork or fish with beans, tortillas and rice. The number of typical dishes is endless – examples include tacos, quesadillas, fajitas, and tamales. Chili peppers are also very typical. Volunteers usually eat lunch together, and it is a great time for a midday break. For dinner, we used to offer it, but not anymore. The overwhelming feedback from volunteers was that they preferred to have dinner on their own. 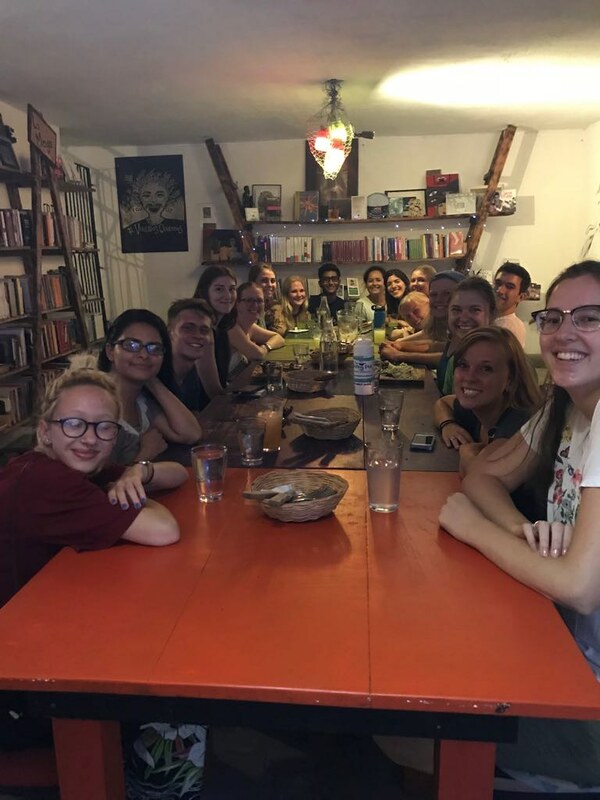 Considering the perfect location of the Volunteer House in downtown Merida, volunteers felt it was much more culturally immersive, fun and economical to eat dinner together at one of the many local restaurants serving everything from delicious Mexican specialties to Western-style food. In those restaurants one can eat very well for around US$5. Alternatively, there are often cooking classes at the Volunteer House, and some volunteers also simply like to purchase food and prepare it themselves at the Volunteer House, where a wonderful kitchen is available. Merida is becoming recognized as one of Mexico’s most welcoming destinations. 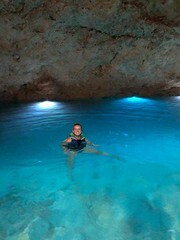 It is a great and safe place to explore and experience Yucatan culture. The Plaza Grande, which is lined by pretty colonial buildings, is bustling with activity and makes for a great place to stroll or just sit back and relax. Beautiful beaches off the Gulf of Mexico are easily reachable in 40 minutes by bus from downtown Merida, and there are watering holes and caves that are well worth a visit. 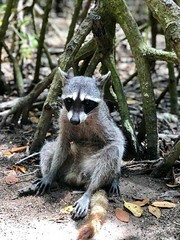 The Celestun Mangroves, where pink flamingoes can be seen, is nearby, as well as Cancun, which is four hours away by bus. There are cultural activities across the area. Some of Mexico’s most impressive Mayan archaeological sites are close, including the famous Uxmal and Chichen Itza, which is one of the new Seven Wonders of the World. 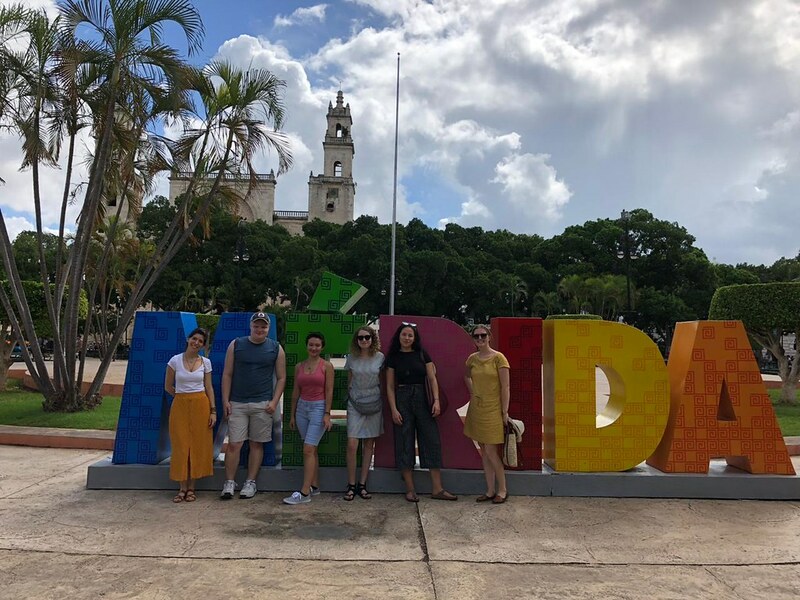 Finally, if you would would like to improve your Spanish while volunteering in Mexico with UBELONG, we can connect you with affordable and excellent Spanish classes once you arrive in Merida. Volunteering abroad with UBELONG is extremely affordable. Plus, when you consider that UBELONG Volunteers enjoy world-class support and the trust of joining an organization based in the United States with top reviews, you realize the unmatchable value UBELONG offers. It’s one of the main reasons thousands have already decided to volunteer abroad with UBELONG. 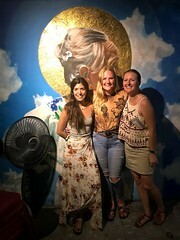 To hear from Volunteer Abroad alumni, read their reviews, see their interviews in the Volunteer Abroad news, or connect with them on the UBELONG Facebook page. Airport pickup: When you arrive at the Merida airport, a driver meets you and brings you to your accommodations. Food: You receive breakfast and lunch every day. To learn more, click the “living” tab above. Additionally, in Merida dinner and miscellaneous spending like snacks and toiletries are not included. You may also have to take transportation to reach your volunteer project and you are responsible for the fare. Most volunteers budget US$5 to US$15 for each day of their placement for additional expenses in the field. I have neither travelled nor volunteered abroad. 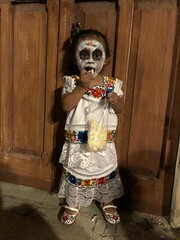 Can I still volunteer in Mexico? I’m an international development professional with years of experience. 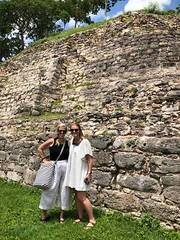 Can I still become a UBELONG Volunteer in Mexico? 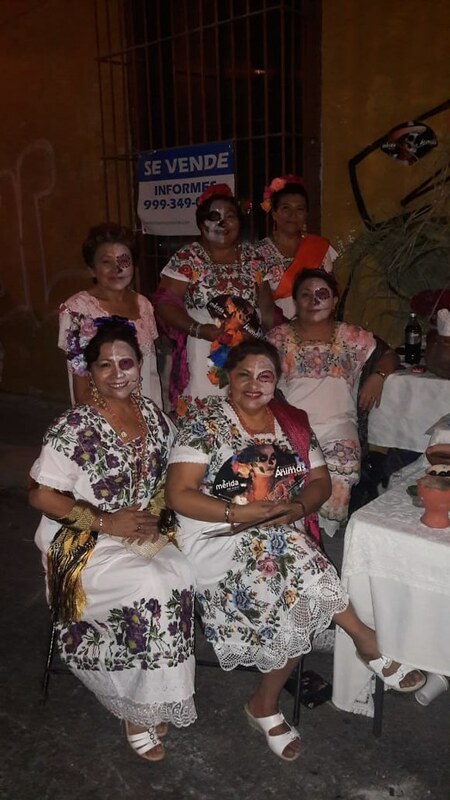 Can I volunteer in Mexico as part of a group? 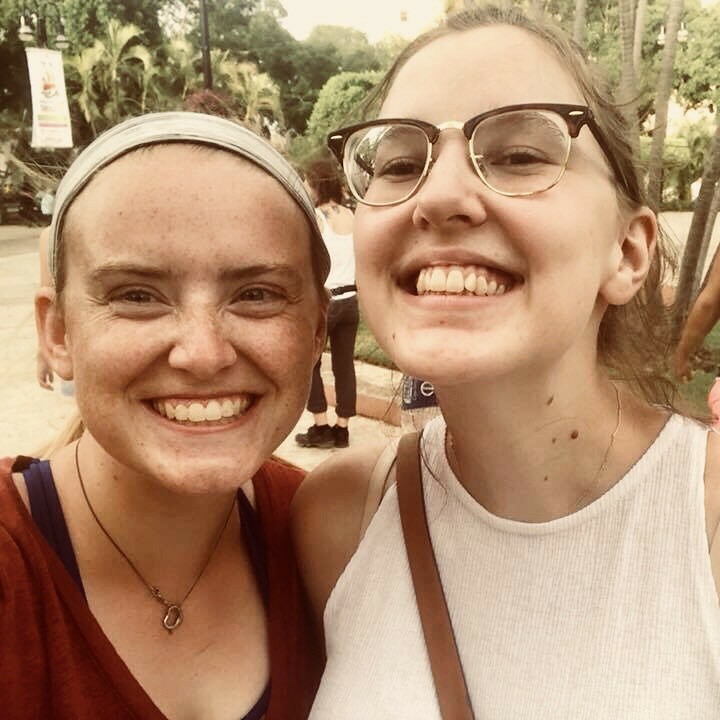 Will I make an impact volunteering in Mexico? 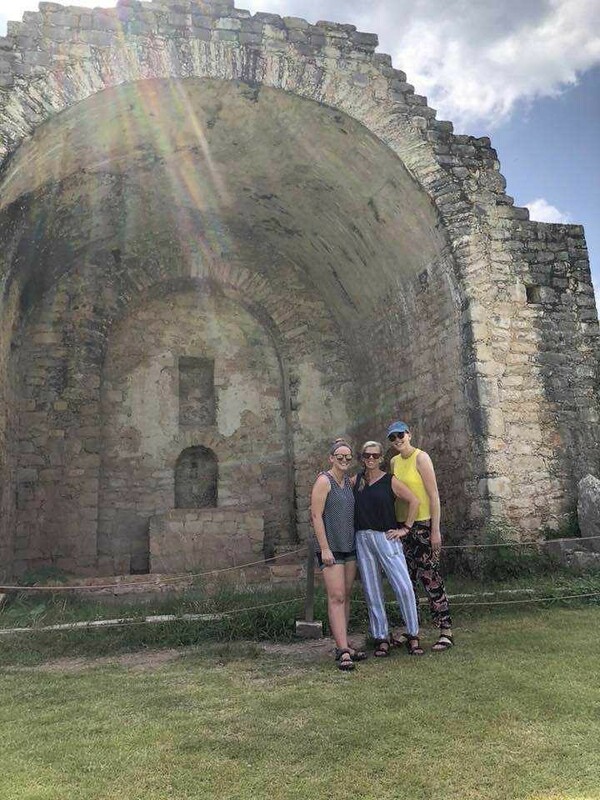 Merida is a popular Latin American tourist destination, especially for Americans and Europeans who travel there during the fall and winter months to enjoy its beaches and warm weather. 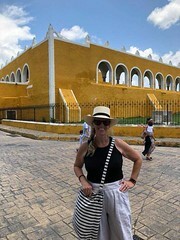 The city is well-equipped to receive foreigners comfortably and safely, and the entire Yucatan area is far from the headline grabbing drug violence along the Mexican border with the United States. However, the influx of foreigners is also a lure for petty crimes. While the majority of visitors never experience a problem and feel completely secure throughout their stay, you should take certain precautions, including being extra vigilant when taking public transportation and never walking alone at night. Once you become a UBELONG Volunteer, we will provide you with extensive materials and support to help make sure you stay safe and comfortable. What kind of physical health do I need to be in to volunteer in Mexico? The environment project requires sustained physical work. Volunteers work in a variety of settings, including dense forest. The climate can be hot and humid. During the wetter months, the trails can become especially muddy and slippery. You should be in excellent physical health. While the other projects in Merida do not require sustained manual work, there are times when you are invited to partake in extracurricular activities with the children. The weather can be hot, and life in Merida requires a good bit of walking. You should also be in excellent physical health to join these projects. 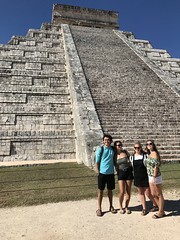 Prior to arriving in Mexico, we suggest that you visit your physician or a travel health clinic to ensure that you are in good enough health for your placement and to obtain any immunizations that you require. The risk of malaria in Merida is low. 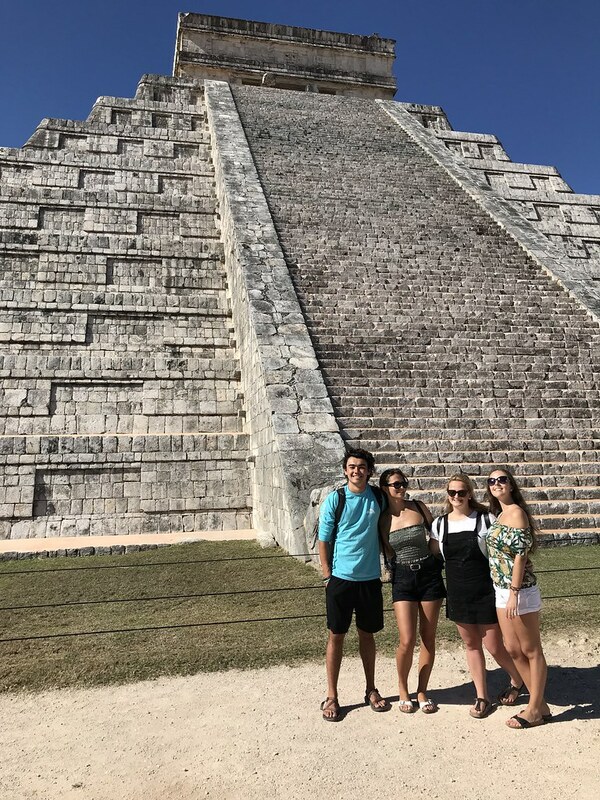 However, if you plan to travel throughout Mexico after your placement, you should consult a medical professional as there are high malaria risk areas in the country. Do I need a visa to volunteer in Mexico? It depends on the passport you hold. For Australian, Canadian, EU, Japanese, Singaporean, South Korean, and US citizens, you can enter at no charge and receive a tourist stamp in your passport valid for up to 180 days. 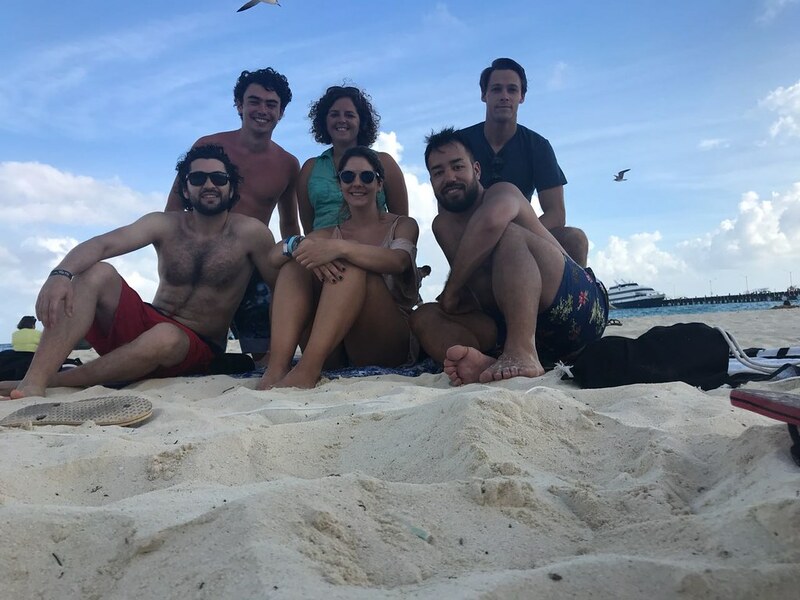 If you are planning on staying in Mexico for longer than 180 days, once you become a UBELONG Volunteer we offer you further information in the Preparation Booklet . How do I get to Merida? Merida has an airport and most volunteers arrive there by plane from Mexico City. Volunteers coming from the United States may also arrive from an American airport, for example Houston or Miami. We offer you further information about transportation to Merida in the Preparation Booklet you receive when you become a UBELONG Volunteer. 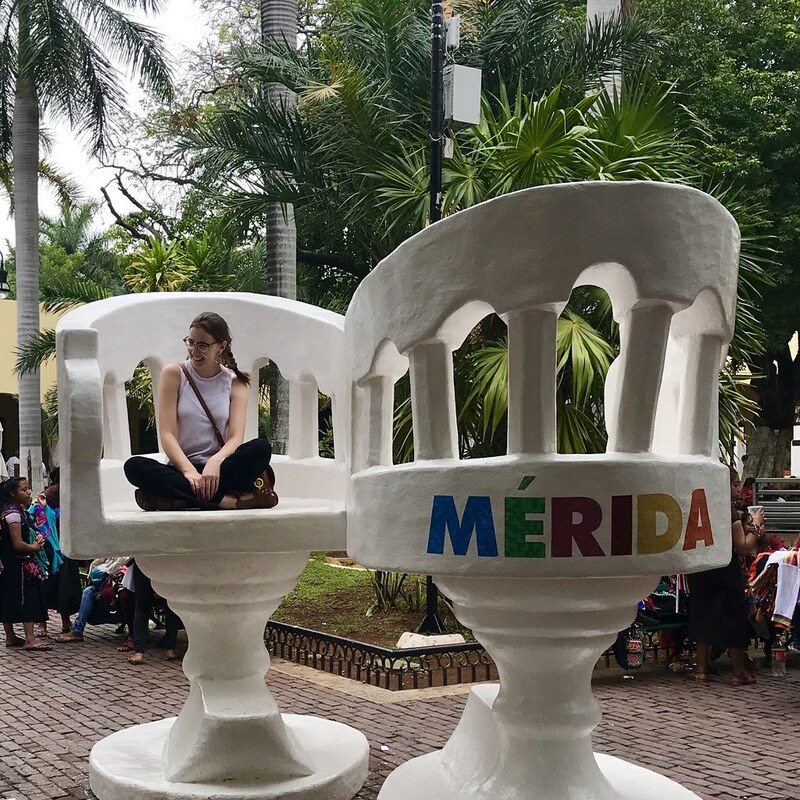 When should I arrive in Merida? 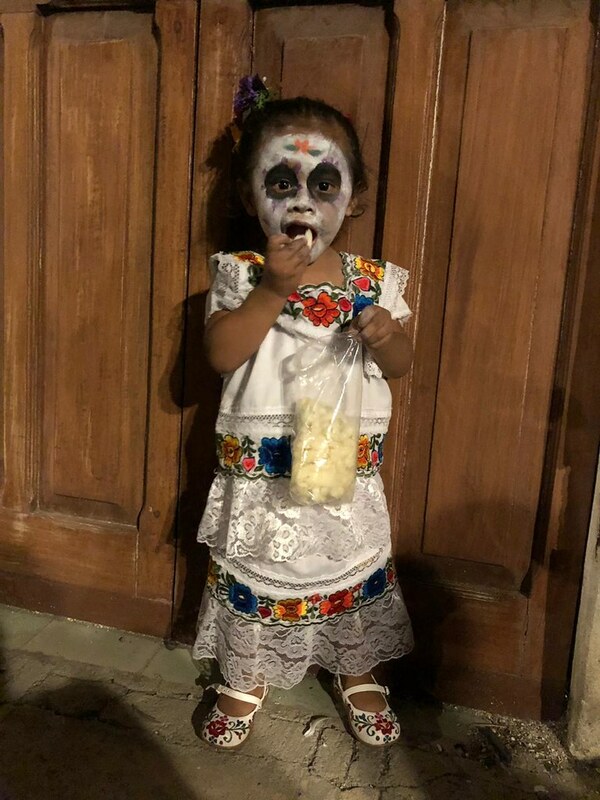 What happens when I arrive in Mexico? Can I volunteer back to back across multiple locations? For example, Merida and then Quito? Your orientation happens on your first Monday and is led by our Local Team Leader. During the orientation you go over your project scheduling and receive further information about your work. 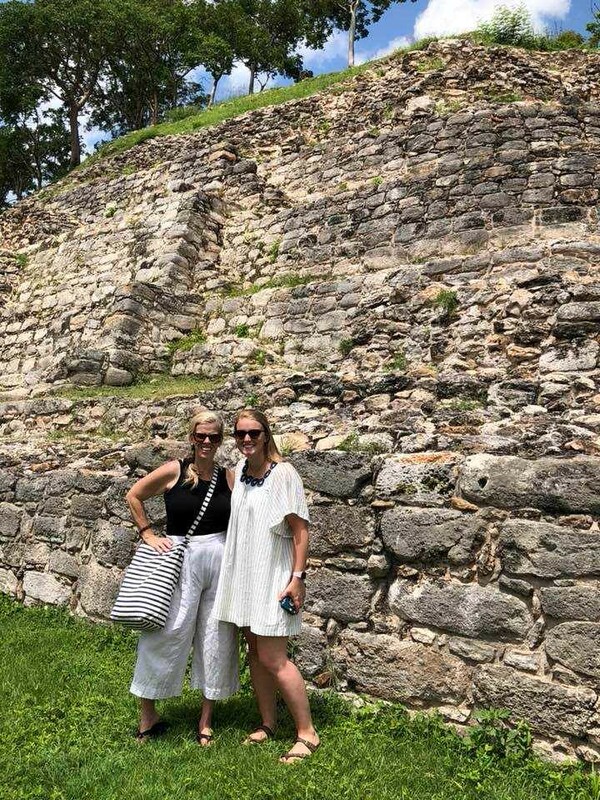 You also meet other volunteers and staff, and take a tour of Merida to become familiarized with the area and learn where banks, public phones, restaurants, taxi stands, and other local services are located. 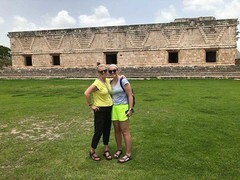 Can I take Spanish lessons while I volunteer in Mexico? Yes. 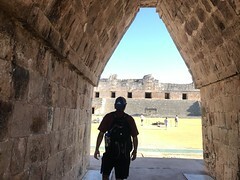 Once you arrive in Merida our Local Team Leader can help you sign up for affordable individual or group lessons. The climate in Merida is warm year-round. The summer months, April through October, feature average daily temperatures around 84°F (29°C), with highs that can easily reach 104°F (40°C) and May being the hottest month. November through March are relatively cooler with average temperatures around 75°F (24°C). January is generally the coolest month, although even then temperatures rarely go below 60°F (16°C). June to October is rainy season. Why pay to volunteer in Mexico? "I very quickly felt as a part of the team." "We all have the capacity to choose to act with compassion and respect." "My volunteer experience was wonderful." VIDEO: "The people of Mexico are incredible." "It was a beautiful combination of cultural immersion as well as contribution."